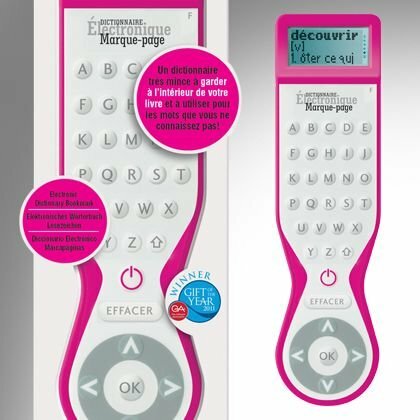 With French as the official language of over 30 countries worldwide, this easy-to-use product has thousands of word definitions literally at your fingertips. Simply type in your word, press OK and your answer is displayed. So thin it slips in to bookmark your page! Data content is from the highly regarded Cordial Dico who also supply dictionary content to Microsoft. Winner of the UK 'Gift of the Year' award 2011. Product dimensions: 46 x 10 x 172mm. If you have any questions about this product by That Company Called If, contact us by completing and submitting the form below. If you are looking for a specif part number, please include it with your message.